With Rio 2016 just around the corner, we cannot wait to cheer Team GB on from the comfort of our sofas! To celebrate DFS’s sponsorship of Team GB, the British furniture retailer has been working with some of the team’s rising stars to give us an exclusive look at their lives away from the limelight, as well as the importance of a little rest and relaxation before the big event this summer. Being a successful Olympic athlete requires an incredible amount of hard work, dedication and discipline. However, another big aspect all athletes must learn is how to switch off post-training to let the body and mind recover. It’a a topic we’ve tackled here at Average Janes before, so we’re pleased DFS prides themselves in understanding this too. We all remember the lovely Laura Trott as the cyclist that proved herself as one of the standout stars of London 2012. Now, DFS have enlisted the help of Laura, and other Olympic athletes, to showcase the power of ‘home‘. 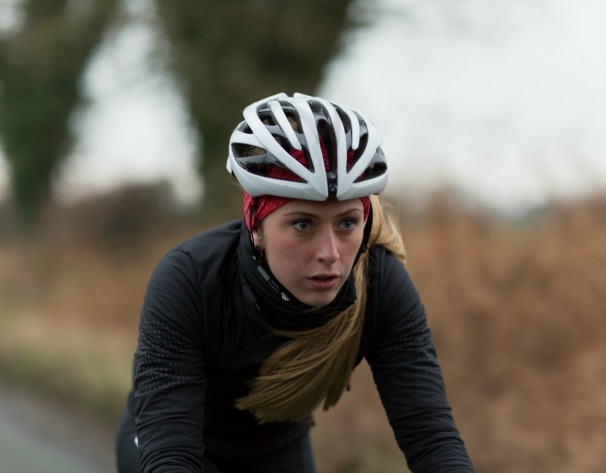 Laura won gold medals for her outstanding cycling performances in the omnium and team pursuit and DFS are proud to call her an official brand ambassador. She is set to return for Rio 2016, and we’re sure it’ll be another summer of gold medals for the Essex girl. But when she is getting herself prepared for Rio undergoing her gruelling training regime, she loves nothing more than chilling out on the sofa in front of the telly – she’s a woman after our own hearts! And luckily, DFS have timed it just right, with the unveiling of a new specially designed, limited edition sofa that celebrates Team GB – ‘The Britannia’. The sofa is also the centre piece to British House, the home of Team GB in Rio. We’ve heard that Laura’s favourite programme to watch is Eastenders – and she was even proposed to whilst sat on the sofa. So, it seems the sofa plays a key role in her life when she can finally have a rest after a hectic day of training. When she’s in Rio, Laura says she’ll miss her dogs the most, but she knows having the support of her friends and family are key to making her feel normal, even when she is spiralling through the Olympic whirlwind! To learn a little bit more about the wonderful British athlete, check out her page on the DFS website. If you would like your very own Britanna sofa in time for Rio 2016, head to the DFS website. This post was kindly sponsored by DFS.